Over 35 years ago, The Chimney Specialists, Inc. was established as a small family owned and operated company, specializing in chimney sweeping and fireplace repair. 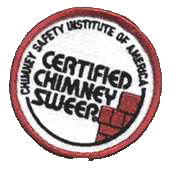 It was our passion for chimney education and safety that first brought us into the industry and it is that same passion that keeps our team of experienced masons and certified sweeps excited about each day! From day one, our top priority has been customer satisfaction. From annual chimney maintenance to solving your smoking issues or water leaks, we are here to solve all of your chimney needs. Throughout the years of providing quality customer service and satisfaction, we have evolved as the premier full-service chimney company and an authority in the industry here in the Northwest. Our team has the knowledge and ability to take care of anything, from simple chimney caps to full chimney rebuilds, proudly serving our King and Pierce County communities. We take pride in every service we provide. We have a 1-year workmanship guarantee and our stainless steel caps carry a lifetime manufacturer’s warranty. Any chimney weatherized with ChimneySaver comes a 10-year manufacturer’s warranty. We also take pride in our professional affiliations, many of which we have held for decades. We carry memberships with WMFHA (Washington State Multi-Family Housing Association) and the NARPM (National Association of Residential Property Managers) for our multi-family customers.